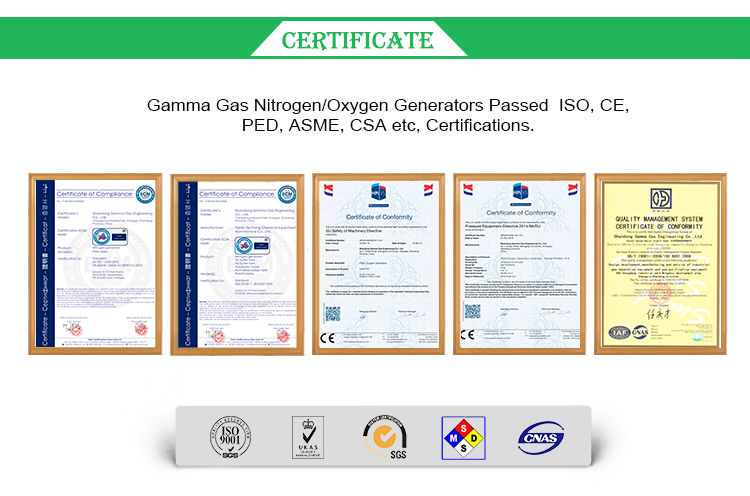 Nitrogen Gas Generation Equipment Parts is Skid Nitrogen Generator, it produces nitrogen from air. 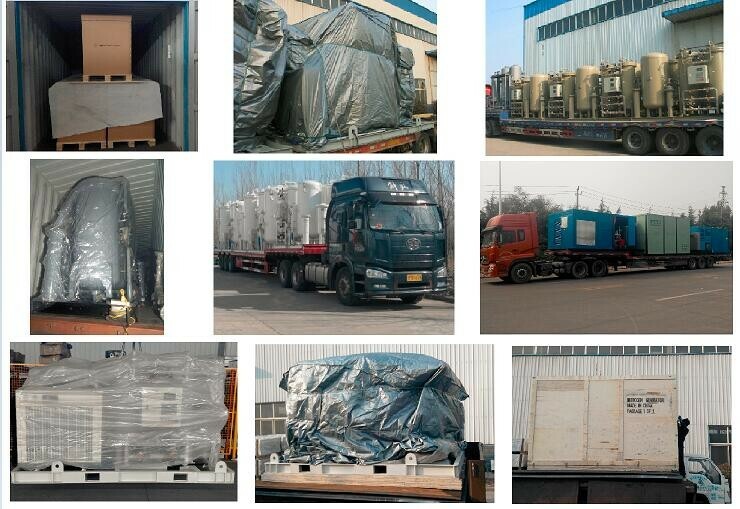 The whole system starts from one Screw Air Compressor, Air Compressor provide raw material for the machine. Then the compressed air enters an air treatment part consists of three filters, one dryer and oil remover. From this part, the impurities such as water, oil, dust,etc are removed, Then the treated clean compressed air goes into one air tank to stablize the pressure and flow rate. Then compressed air enters nitrogen separator. This nitrogen separator has two adsorption towers, when one tower is generating nitrogen, the other tower is regenerating. 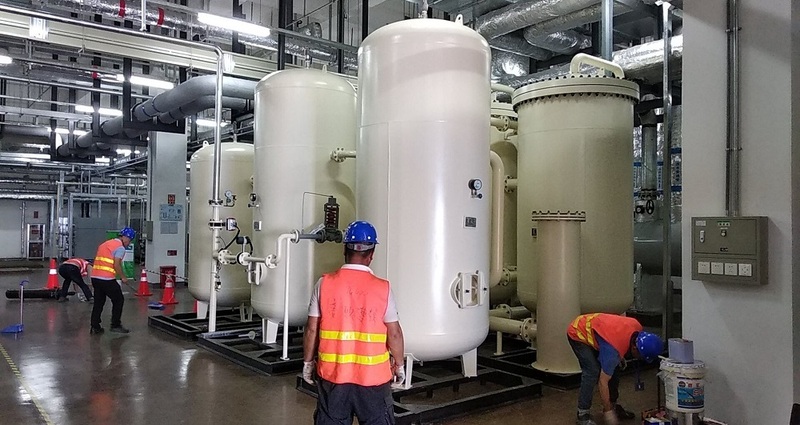 From this separator, the oxygen and other gases are adsorbed inside the tower, nitrogen goes out from the top to be collected as product nitrogen gas. Looking for ideal Generation Machine Systems Manufacturer & supplier ? We have a wide selection at great prices to help you get creative. 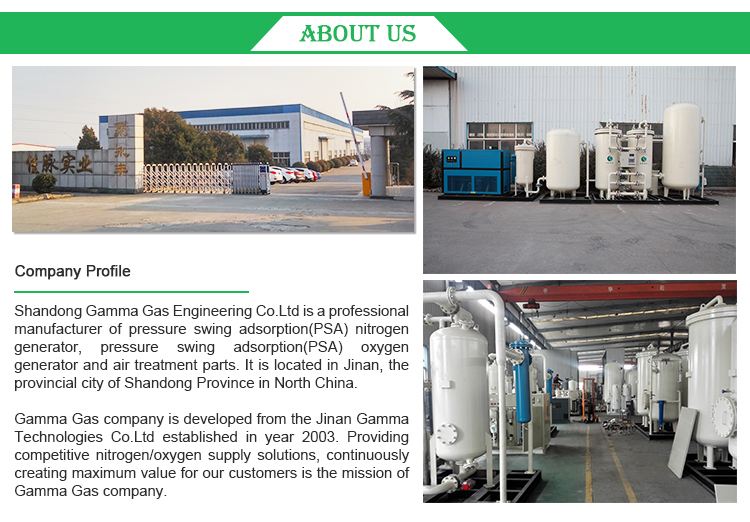 All the Gas Machine Parts are quality guaranteed. 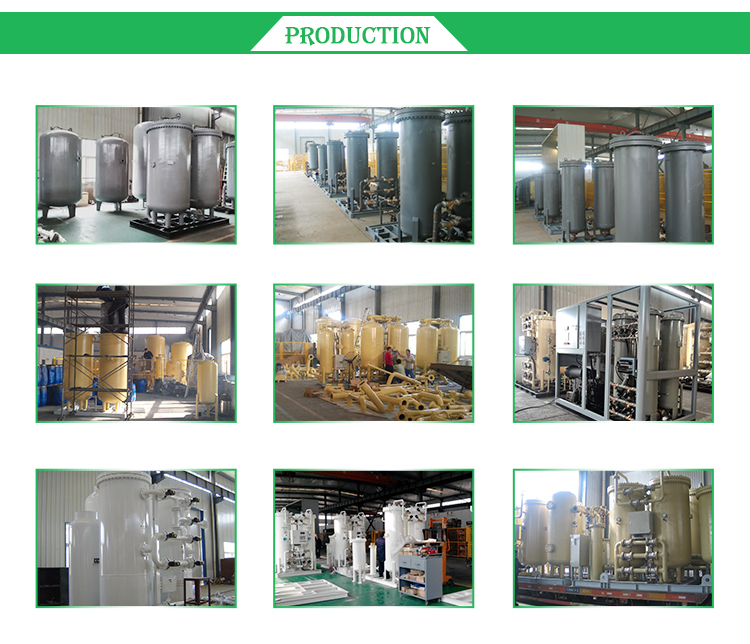 We are China Origin Factory of Generating System Price. If you have any question, please feel free to contact us.